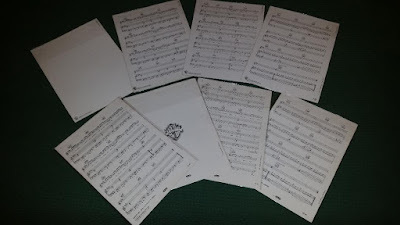 Let's talk about music sheets; A lead sheet specifies only the melody, lyrics and harmony, using one staff with chord symbols placed above and lyrics below. It is commonly used in popular music and in jazz to capture the essential elements of song without specifying the details of how the song should be arranged or performed. In the past, we've had the chance to get a sheet for a single song:I call these special releases "Single music sheets". They usually have 5/8 pages, and have been released for all the most important singles from 60's hits to 90's. Today, it's hard to find a single song's sheet; now music publishers prefer to put in the market a book including all the songs from a complete album. 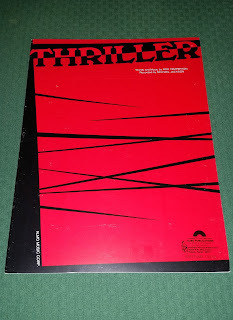 By the way, most of the Michael Jackson/Jackson 5 singles got a "single sheet" release, and now we're focusing on the ones released from the lp "Thriller". 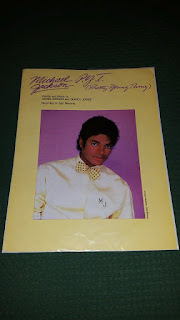 4 sheets were released, at the time, in USA & Australia with the same album sleeve. 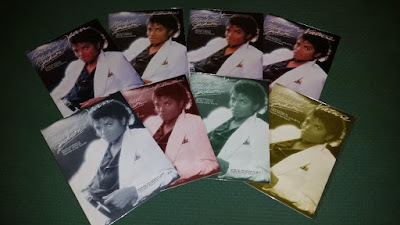 Here in the picture you can see the selections of the 4 with the same artwork (you can easily recognize the aussie sheets because of their different colour tone). The titles are:"Wanna be startin'somethin", "Beat it", "Billie Jean" and "Human nature". 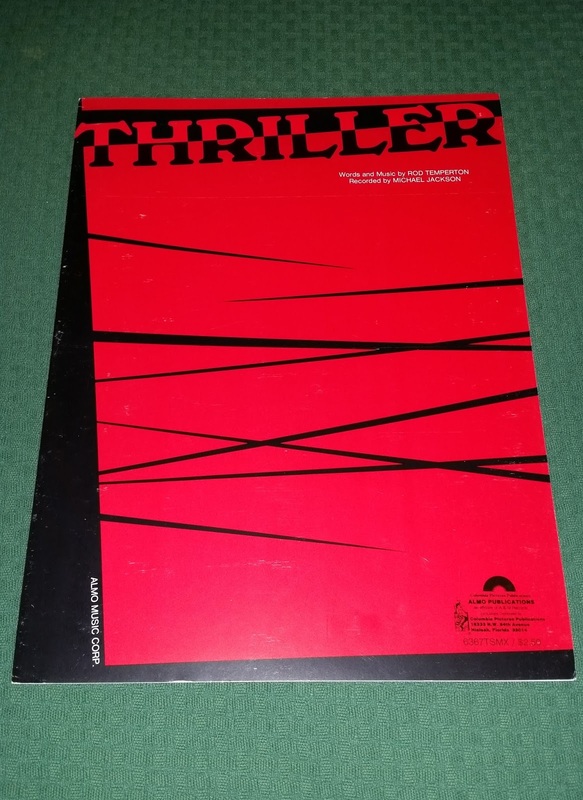 "Thriller", "P.Y.T." 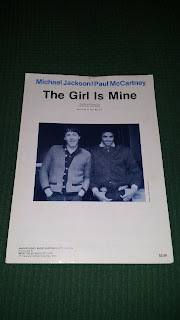 and "The girl is mine" came with totally different picture sleeves. Which set you like the most? 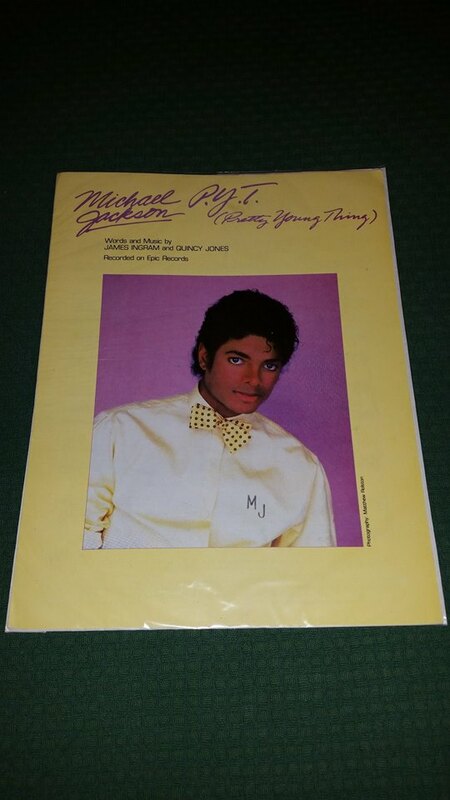 These are the 3 different artworks for "Thriller", "P.Y.T." 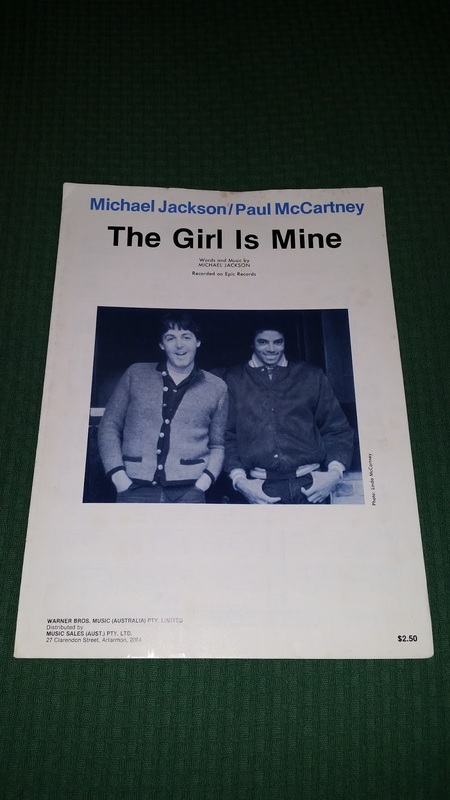 and "The girl is mine" songs.